Make a statement in your home with a Retro appliance, and create a focal point to your kitchen. 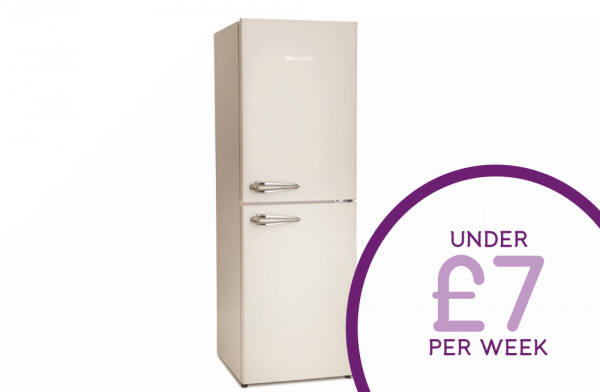 This 48cm wide fridge freezer is perfect if space is an issue but you still want the look of a retro fridge. It features a 1950’s sleek and stylish handle. The fridge has three adjustable glass shelves for storage flexibility and the door has a variety of racks and balconies for tall bottle and jar storage. Below, the freezer has three compartments for all of those well stacked frozen items. A+ Energy Rating.